I was fortunate this past Sunday to get to participate in a walk for peace and justice in State College, Pennsylvania. Organized by 3rdWay Collective, a campus ministry at Penn State supported by local peace churches, the event included musical performances, singing, reflections, the collective creation of prayer flags, and prayer from local leaders from a variety of congregations and interfaith groups as well as participation from local political leaders. It concluded with a ceremony of penance at a local synagogue as Christian groups, in particular, expressed sadness, shame, and apology for Christianity’s role in promoting anti-Semitism, with a focus on the use of Palm Sunday as cover for anti-Semitism. I was invited to provide brief comments on the theme of “tearing down walls of hate.” I share my prepared remarks here. Thank you for the invitation to be here, and for your presence here. It’s wonderful to celebrate today with a community of people with deep commitments to peace and justice. For me, it’s especially joyful because, as campus pastor Ben Wideman said in his introduction, much of my day is typically spent listening to and observing people engaging in hate. So it’s a tremendous encouragement to me to see you here. But I have another reason to be encouraged. In my study of hate groups, I also witness opposition to them. When a hate group pickets or marches or rallies, there are always people who oppose them, and there are always more people who are opposing than supporting them. When you see a close up photograph of a hate event, such as the Unite the Right rally in Charlottesville, you will miss this. Only when you zoom out, looking at the scene from a wider angle, do you see that for every hate actor, there isn’t one or two people opposing them, but twenty people standing up to hate for every one promoting it. 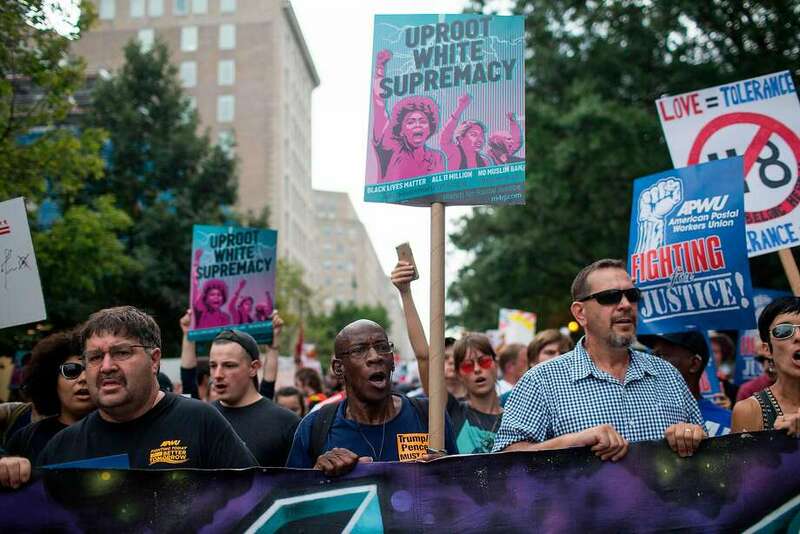 When white supremacists tried to organize a Unite the Right 2 event in 2018, the 20-40 of them who showed up were met with hundreds of counterprotestors. Above, counterprotestors meet the few dozen Unite the Right 2 protestors that met in DC in 2018. This means that the rise of hate groups has also given us an exponential rise in the number of people combatting hate. And this moment of hate will pass, but the many people who are coming to peace and justice work may stay. There is no silver lining to hate groups, but there can be goodness that rises in response to it, and that goodness can be part of who and what we are as a nation for a long, long time. We may be blessed from this with a generation of people who have thoughtfully engaged peace and justice, learned the skills to support it, and developed the stamina to do this work. In moments when anti-hate work is hard in all kinds of ways—emotionally, mentally, physically, spiritually—we can look to the incredible number of people who are taking up this challenge and feel encouraged as we walk in peace and for justice. Thank you to University Mennonite Church and University Baptist & Brethren Church of State College, Pennsylvania, for inviting me to share a sermon with them this past week. I share it below. Finally, after days of observing Lent, a season of self-reflection, we get a glimpse of joy again—this time, in the people who greet Jesus as he returns to Jerusalem for the celebration of Passover. There are so many parts to this story that I love. First, the entrance on a humble donkey colt, which reminds us of how a pregnant Mary was carried to Bethlehem, the city of Jesus’ birth. In this entry into Jerusalem, we’re reminded of the humility of the incarnation. And, in the story of thae securing of the donkey colt, we get a story where the disciples do as they’re told the first time, with no complaining or doubting or sass or offering what they are sure is a better idea. After three years of witnessing his ministry, they’re finally trusting Jesus! And we get the excitement of the ordinary people Jesus has been healing all along as he is met by them on the road. 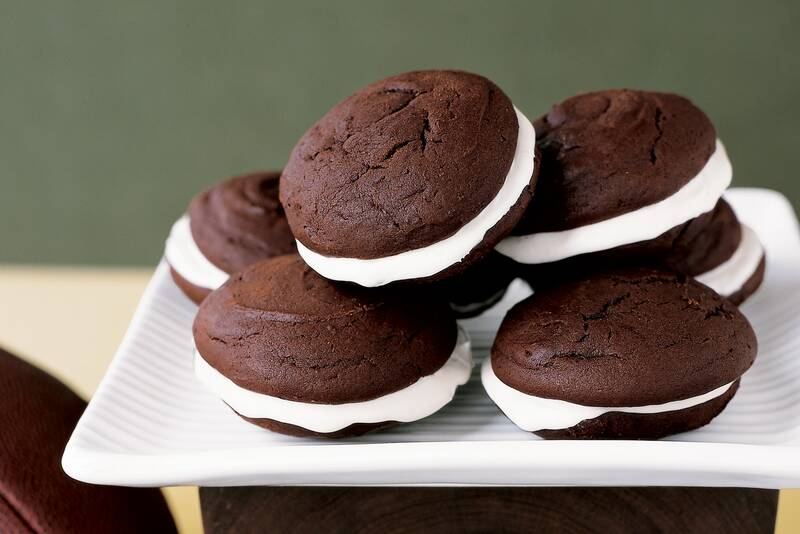 We know we’re heading for a sad time, but, in this moment, there is a pause for joy. 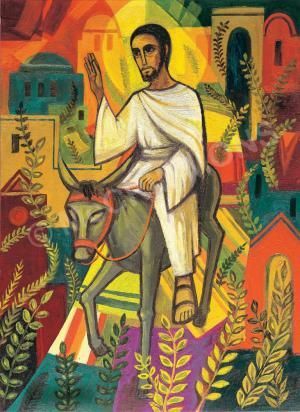 Above, a depiction of the Triumphal Entry by the Benedictine Sisters of Turvey Abbey. I want to take us back into Jerusalem’s history, to another moment of joy, when the city was being rebuilt after the exile of Jews from the southern kingdom of Judah to Babylon. I hope understanding Jerusalem’s history a bit will help us understand the kind of city that was welcoming, then condemning, Jesus. According to the timeline presented in the Bible, Jerusalem, by the time of Jesus, was the center of Judaism, but making it so had been a fraught process. Around 930 BCE, after the rule of Solomon, the united kingdom of Israel, which had always been uneasy, split into a northern and southern kingdom. The southern kingdom, Judah, included the city of Jerusalem. About 200 years after this split, the northern kingdom, called the kingdom of Israel or Samaria, fell to the Assyrians. One hundred and thirty-six years after the fall of the northern kingdom, the southern kingdom fell to the neo-Babylonians, and many Jews in Jerusalem were taken into captivity in Babylon. In the north, at the start of the Assyrian conquest, the Assyrians were polytheistic, so they added Yahweh to their pantheon of gods. Over time, they turned to monotheism, worshipping Yahweh alone. The conquered and conquering of Samaria intermarried, and so the population there were descendants of both the people of Israel and Assyria. Jewish commentary from the time tells us that they kept the law even more strictly than the Jews of the southern kingdom, but the Jews of the southern kingdom criticized them for making sacrifices outside of the temple in Jerusalem, even though Jews had long sacrificed outside the temple. This insider/outsider worship disagreement became a symbol for the outsider status of the Samaritans. As Jesus’ interactions with Samaritans 500 or so years later tell us, the tension between these two groups of Yahweh-worshippers with shared ancestors and histories of being conquered reveal was long-lasting. The Parable of the Good Samaritan, Jesus’ words to the woman at the well, and the disciples’ hot-tempered desire to call down fire and brimstone on a Samaritan village that rejected Jesus’ teaching only makes sense if we understand that these two groups had been using differences in theology to justify discrimination for generations. Samaritans, of course, couldn’t have worshipped at the temple in Jerusalem during the Jewish exile, even though they were relatively—compared to the exiled Jews in Babylon—nearby (about 600 miles, compared to the 1600 miles to Babylon), because it had been destroyed. So they adapted, finding other ways to worship. Above, James Tissot’s The Flight of the Prisoners. The fact is, though, that the Jews in Babylon also adapted, and communities of faith continue to benefit from their adaptions. For example, they came to understand prayer as an acceptable substitute for animal sacrifice. The Hebrew Bible doesn’t provide the details, and so Christianity doesn’t inherit this tradition through scripture, but Judaism grew and flourished in cosmopolitan Babylon. Seventeen Jewish schools were established, and 10,000 Jews lived there. Two major expressions of Jewish thought emerged from the area, and the Talmud was written by Jews in Babylonia. Today, we call them Iraqi-Jews in recognition of the location of ancient Babylonia. Life here wasn’t perfect for exiled Jews, but many of them made it good and, from their experience, generated some of the most important contributions to Judaism. Yet there was, among some of them, a yearning to return—at this point, to a homeland that had never been home. After 70 years, according to tradition, that happened, over a period of years, for some of them. King Cyrus, today considered to be the founder of human rights, permitted a return. It’s told in the books Ezra and Nehemiah, two of the Jewish leaders in exile who led the endeavor. These stories are being re-read right now by some US Christian leaders who are seeking to impose the Cyrus story onto contemporary US politics. The goal is to justify Christian nationalism—that is, just as God gave the exiled Jews Cyrus, a non-Jew, to grant them power to control Jerusalem, so, too, might American Christians have been given a non-Christian president to authorize a return to political power. The story is re-read to justify Christian re-assertion of power. And just as the first act of the Jews restored to Jerusalem was to build a wall around the city, the US, in this line of thinking, should build a wall to assert Christian power. But I’m not satisfied with this reading, and so I want to look at part of it again. Ezra 4:1-5 tells us some of the tension that happened when the exiled Jews returned. First, we have to remember that it was a select group that returned—those who understood placeas central to faith. Other Jews stayed in Babylon and developed rich traditions there, though, by the late 20thcentury, hostility against non-Muslims in Iraq led to their migration, mostly to Israel. But, back in Cyrus’ day, some stayed. For those who left: what would draw a person to the dangerous, hard, irreversible work moving from one of the world’s biggest cities to the relative backwater of Jerusalem? What energy was required—to say goodbye, forever, to your real life in order to forge a life based on an ideal of the past? What, exactly, were these ancient travelers inspired by? When they arrive, they’re greeted by the Samaritan cousins—people who generations before had been part of the kingdom of Israel. Anthropologists who study genetics believe that, genetically, these two populations were clearly and closely related. And, clearly, the Samaritans see themselves as part of the story of colonization, exile, and return. They show up ready to help rebuild the temple! But the returnees reject them. Why? Presumably, Samaritan willingness to sacrifice outside of the temple made them outsiders to the returning Jews. But perhaps there was more: the distance of miles and time the intermarriage with the colonizers, resentment that some people stayed while others were forced to go, jealousy of those who stayed behind to serve as laborers and farmers for the colonizers, anger at what the returnees had to give up in order to return and resentment that the Samarians didn’t have to make those sacrifices. We don’t know, but if you’ve ever witnessed a difficult divorce or disputed inheritance, you might have some insights into the feelings involved when people fight about property and the right to tell the story of what happened. In Ezra and Nehemiah’s day, Judaism had been rediscovered—literally, as the returnees excavated the temple and when Cyrus returned some religious artifacts that had been stolen from the temple and put into the royal collection. And may people of that rebuilding generation had rediscovered a particularly zealous faith. For those of us in the audience today who are Mennonite, this is a bit like deciding to become Amish. And, in fact, the Amish movement started as a reactionary response to what its leaders saw as a too progressive Anabaptist faith, one that wasn’t strict enough. There is some appeal in a stricter faith, one with clear rules and punishments for breaking them. But a faith that is more rigid is also one that can easily become more brittle, one more easily broken, one that confuses zeal and love. This was the kind of new Jewish faith, nostalgic for the old one, that the returnees created. Intermarriage was forbidden, for example. Nehemiah 13:28-29 tells us that when the grandson of the Jewish high priest married a Samaritan woman, the priest was excluded from Jerusalem, even though the woman worshipped Yahweh. In examples such as this, the rules regarding worship were used to justify policies of exclusion of those considered to be lesser. A kind of intra-religious war begins between these two groups. The Samaritans begin the undermine the relationship between the returnees and the Persian rulers who are supporting their work of rebuilding the temple and the wall around the city of Jerusalem. There are temple desecrations and retaliatory temple desecrations. We know today what damage it does to a community when a house of worship is vandalized, how disrespectful of core parts of our identity this feels. The purpose was to degrade each other, to demonstrate that the other was unwanted and undeserving of God’s blessings. These are the kinds of hatred that Jesus addressed in his ministry of healing and reconciliation—hatreds based on tradition, on false ideas of blood purity, on insider/outsider status based on family lineage, on the lie that God’s mercy is narrow. This is why, when Jesus nears the city of Jerusalem, he weeps for the people there, saying, “If only you had recognized the things that make for peace!” But they didn’t, just as we don’t now. 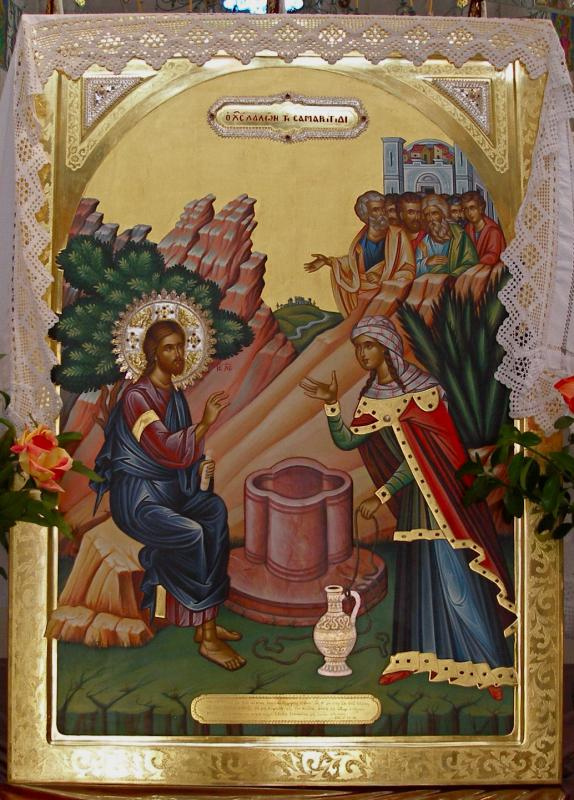 Above, an icon of the Samarian woman at the well. By Jesus’ arrival in Jerusalem, the city had been rebuilt and lost again, and the Jews remaining in Jerusalem had lost much of their autonomy, most recently to Roman rule. Geographically, Israel was both nowhere and also extremely important—a buffer zone that a variety of conquering nations over time had used as a desert fence to keep their enemies from getting too close to their more important cities. But still, Jerusalem was where the temple was, and, so, at Passover, faithful Jews from all around would come to the city. Jerusalem was a place of many kinds of zeal: there was a history of religious zeal from the returnees who had re-established Judaism there. There were religious leaders who were invested in keeping Judaism alive despite political oppression of the Jewish people by the Romans. Fostering this kind of faith took zeal. And it also required, at times, squashing the zeal of other Jews, whose search for a political and military messiah provoked unwanted, often violent, attention from the Roman government. Yet, still, many people were zealously looking for a hero—a messiah—to save them from Roman rule and to re-establish the line of David. It was a chronic problem in the city—self-appointed messiahs all over the place, leading small bands of rowdies, stirring up political trouble. There was a desire for political freedom in the form of the re-establishment of Israel as a political state. Again, we see zeal here—from those self-appointed messiahs from the people who worshipped them and from the Roman and Jewish authorities who were irritated, inconvenienced, and threatened by them. In to this walks—or, rather, rides—Jesus. We don’t know how many self-appointed messiahs were in town that day, and we don’t now the depth of faith of those who met Jesus on the road. Some of them, we might imagine, were there for whoever showed up; their commitment perhaps wasn’t to Jesus but to anyone who promised to change the status quo. The city, in short, didn’t lack for zeal. Some people directed it at Jesus, at worshipping him. Others directed it at using him. And others at destroying him. If you asked the people of Jerusalem, they would have said that they were zealous for God. But it is also clear that many of them were zealous for other things: for religious superiority, for exclusion of those they didn’t think belonged, for political power, for the power to oppress others, for the restoration of a “purer” faith, one that probably hadn’t ever existed in reality. In labeling these things as “good,” as “faith,” as “religion,” as “right,” these people missed Jesus. In looking for a religious leader who would affirm the love of God as exclusive, they missed one who showed them a far more expansive one. In looking for a military leader who would overthrow Roman rule, they missed a leader who called them to radical peace-making. In looking to win, they missed lessons in reconciliation. In looking to injure the other, they missed signs of healing. Today, we see many American Christians behaving similarly. There is tremendous anxiety about changing demographics, about Christians have to share power. We have seen it in Pennsylvania’s legislature, in an effort to establish the Keystone State—and isn’t that a lovely way to talk about the role that Pennsylvania could play in reconciliation work?—as “Christian,” to the exclusion of others. We’ve seen symbolic and literal shots fired to tell other people to stay away, that this is ours, not theirs. There is an effort to re-establish life as we imagine it was—though it never was—and this nostalgia is as harmful to the church today as it was to people of faith in the past. It didn’t work to protect Jerusalem, and it won’t work to protect Christians today, because it is only ever love, never hate, that keeps us safe. Our goal must be for something bigger than the protection of a narrow and nationalistic faith. If we believe in the God of the cosmos, then our zeal can’t be for regional, small visions of God. But God has so much more for us than our small and anxious vision! Today’s reading from the gospel delivers one of my favorite lines from scripture: When the local leaders tell Jesus to hush his followers, he tells them that it’s useless. “I tell you,” he replies, “if these were silent, the stones would shout out.” What arrogance from anyone else but, from Jesus, this is just the recognition of the enthusiasm of Creation itself. I love the sass, but there is deep theology here as well as practical advice: all of creation testifies to God’s power, love, and mercy. Jesus’ words are a reminder that God needs no defenders. In our efforts to establish boundaries, we are trying to reduce God, which not only can’t be done—it reveals our failure to understand the infinite goodness and lovingkindness of the Divine. The rocks cry out not to be used to built a wall and defend a narrow faith but to celebrate God’s willingness to be among us. When we seek a smaller vision of God, we miss seeing Jesus. What are you reading to address hate? What are you reading or watching that helps you address hate in any form? It can be an article, a book, a workbook, a film, an online lecture, etc., and it can address hate broadly or in a narrower format, such as by examining a specific hate crime or hateful law. 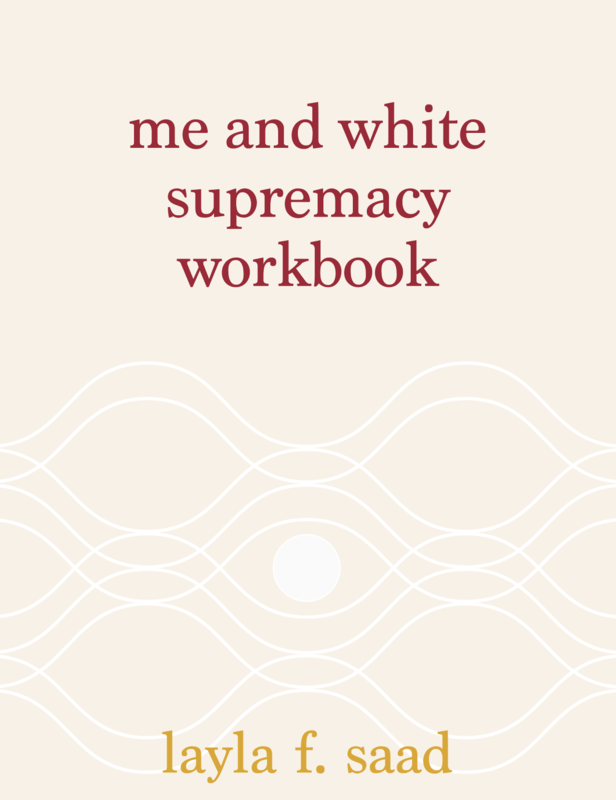 Above, Layla F. Saad’s Me and White Supremacy workbook for any person who benefits from white privilege. It’s an online resource that challenges you daily to think about white privilege and white supremacy. Oh, and it’s free. Share a title in the comments by April 25, and I’ll a name from among those who shared for a prize. Author RebeccaPosted on April 16, 2019 April 15, 2019 1 Comment on What are you reading to address hate? “Don’t Let Hate Win” at Pittsburgh Mennonite this week! I’m heading to Pittsburgh this week to speak with community members about how they can address hate in their local area. Join us for a great conversation! Author RebeccaPosted on April 1, 2019 March 23, 2019 Leave a comment on “Don’t Let Hate Win” at Pittsburgh Mennonite this week!